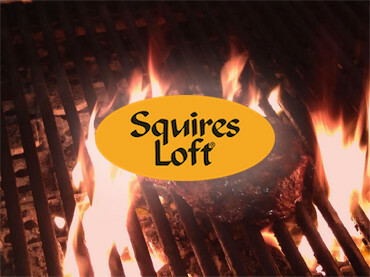 Have Squires Loft Steakhouse Delivered directly to your door! Have	Squires Loft Steakhouse	delivered to you, anywhere on Koh Samui! For only 100 baht! Squires Loft brings Australia's finest cuts to the carnivorous connoisseurs of Koh Samui. We were established in 1995 in Melbourne, Victoria, Australia. Their concept is simple: to serve only high quality cuts of pasture and grain fed beef sourced from the lush pastures of Gippsland in Victoria Australia. A unique selling point and perhaps the secret to their success is that all beef is aged for 28 days and the specific cuts of meat are exclusive to the Squires Loft brand. From the ultimate tender cut 200 gram or 300 gram Eye Fillet to the mouth watering taste sensation 400 gram Rib Eye. Squires Loft has cuts of beef available that will satisfy even the hungriest of diners. There are currently no reviews for Squires Loft Steakhouse. To add a review simply click the "Stars" on this page.